Let me start out by saying that I am not in any way being compensated for this review. In fact, I have had no contact with The Caldrea Company or its representatives. So am I the only one who would get up at 5 AM on a vacation day Monday morning and clean litter boxes? Well, I did. Why? Because they needed to be cleaned, and I aim to clean them just before trash pick-up. The trash truck runs here before 7 AM on Monday morning, and after a day of mowing, cleaning house, and laundry, I was just too tired to do it Sunday night. Anyway, clean them I did, at 5:30 this morning, with the help of Mrs. Meyers. Mrs. Meyers Clean Day have a rather plain label. But don’t let a lack of slick advertising turn you off. This multi-surface concentrate is amazing stuff! I diluted with water, added to a spray bottle, and used it as I would any other multi-surface cleaner. I emptied the litter boxes, then sprayed them down with Mrs. Meyers, let it remain on the surface for a moment, then wiped the dirt away. Mrs. Meyers is a tough cleaner, and cut right through the clay, poop, and dried pee. All I had to do was wipe it away. Then spray a second time to make sure I didn’t miss anything, wipe, and done! Really, it was that easy. Then I sprayed some on the floor and spot mopped using my Libman Freedom Spray Mop with reusable pads (they didn’t compensate me either). Nice! I’ve also mopped with Mrs. Meyers. It works wonders, and smells good too. So why did I try Mrs. Meyers? It’s easy to see the Leaping Bunny on the back! That means the products are cruelty-free! Mrs. Meyers Clean Day products are comparably priced to other cleaning products. So you have no excuse to not buy cruelty-free! I was so pleased with the multi-surface cleaner, I decided to give the dish soap a try. There are several scents to choose from. Lemon is my favorite. 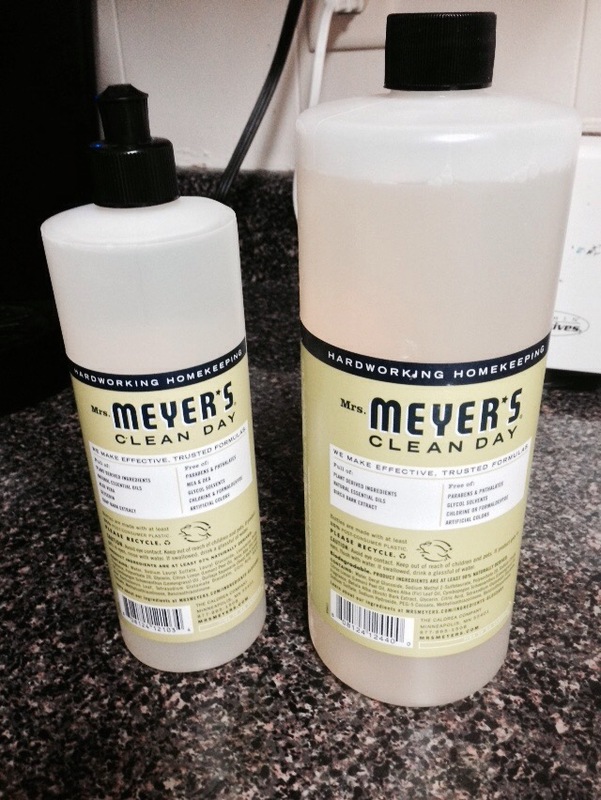 Have you tried Mrs. Meyers Clean Day products? What did you think? Are there other cleaning products with the Leaping Bunny symbol that you use? Tell us about them! I have seen these products but haven’t tried them. I will look for them. I think you’ll be pleased with the results! I am always please when a product that doesn’t hurt anything works. If it smells good, all the better. Thanks. Always looking for animal and earth friendly products. And, hope you have a good rest of the Monday-vacation-day-off day. I admit I was put off by the label, but once I tried the cleaner, I was sold. hmmm I have never heard of this! Wonder if it is in Canada too? I don’t know. If not now, then hopefully soon! That looks like a great product, thanks for sharing! They have a whole line of products, so I have lots to try! We love Mrs. Meyers! We are in to the cruelty free products also including beauty cruelty free products. On that end, Alba Botanica and Skyn Iceland are wonderful choices for cruelty free. And you are right, the cost is just the same! Happy Monday! I’ve used the Alba Botanica moisturizer and like it! That is awesome! Here in the US, drugstore chain products usually cost MORE than name brand products in other stores. Wow!!! 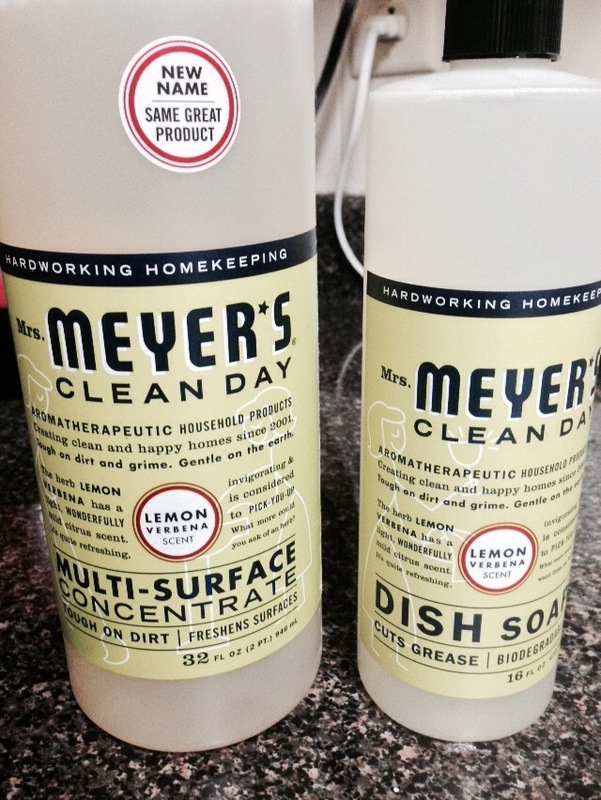 Although I’ve never seen this product, Mrs. Meyers Clean Day sounds great!!! I’d love to try it! Thanks for the heads up. I never really thought about the cleaning products and how they are tested. I’ll finish what I have and then try Mrs. Meyers. Target carries Mrs. Meyers. I have several of their products and enjoy them. I use their laundry detergent…and it’s so much better than what I used to use (please don;t tell Tide…). You use less, it comes in an easy squeeze bottle, and it actually gets my clothes cleaner than the “other” detergent. My family gives it 2 thumbs up!